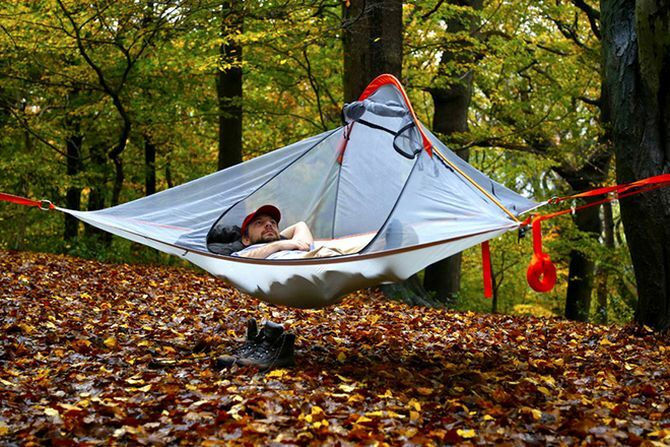 This tree tent can be assembled quickly within just 10 minutes and offers 40-square-feet of floor space. When in use it expands up to 2.5 x 3.5-meters, but after use it can be folded down and measures just 18 x 6 x 6-inches. Weighing just five pounds, the ultra-light tent is perfect for two and easily straps onto your rucksack for conveniently carrying to any desired location. It is triangular in shape, so obviously meant to be attached onto three nearby trees and a ratchet is used to make it taut. 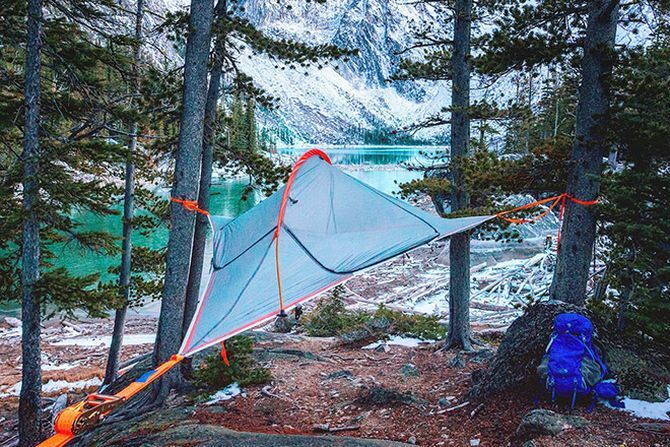 A single aluminum support pole is threaded into the tent’s fabric to create a roof section and at last a waterproof polyester flysheet is attached. This arched flysheet helps to keep insects and other crawling reptiles away from your shelter. 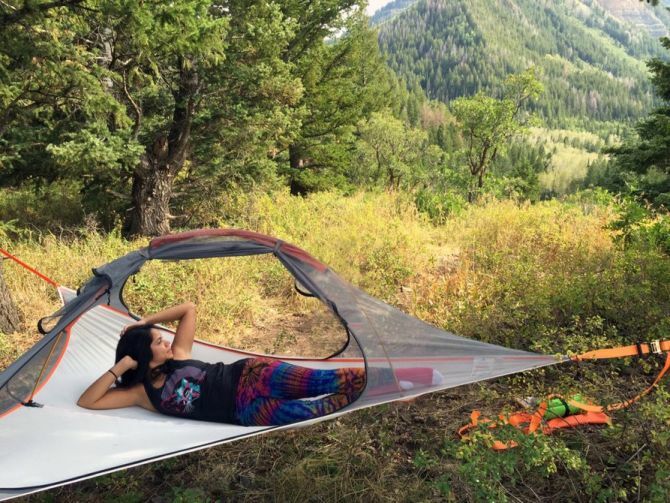 Whether you’re looking to reduce your carbon footprint in the wilderness or a new secret hideout, Flite is certainly one of the best options to enjoy camping in air. Moreover, it also provides you a convenient way to create temporary housing during severe floods. Besides holding weight of two adults, the tent can also support their gear with a maximum load of 485 pounds. 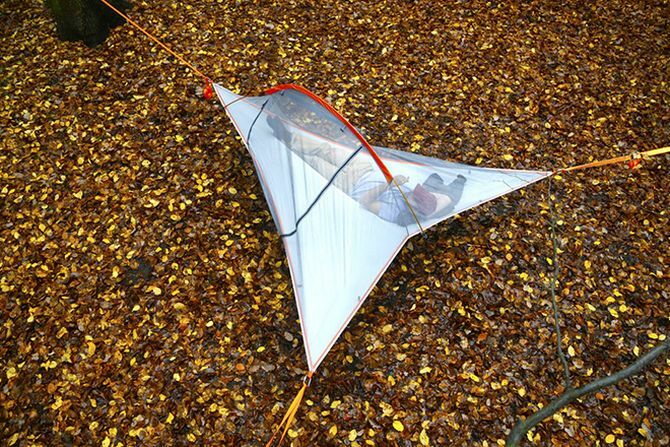 The tent is available in camouflage, orange, green and dark gray. 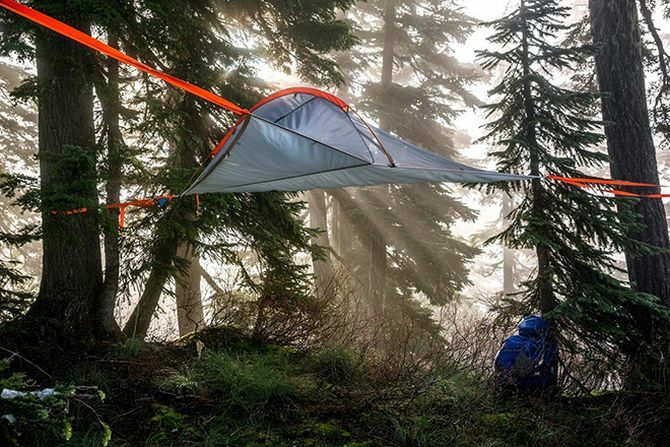 It is a budget-friendly camping tent and will cost you $350. Pre-orders will be available starting on December 10, but its due to start shipping in the first week of January 2016.